The Boys & Girls Clubs mission is to enable all young people, especially those who need them most, to reach their full potential as productive, caring, responsible citizens. It was important that our annual report design reflected these goals. The Boys & Girls Club accomplished a lot in one year and these accomplishments, awards, events, and new programs are all highlighted and encompassed in this annual report distributed to donors, supporters, philanthropists, and board members. 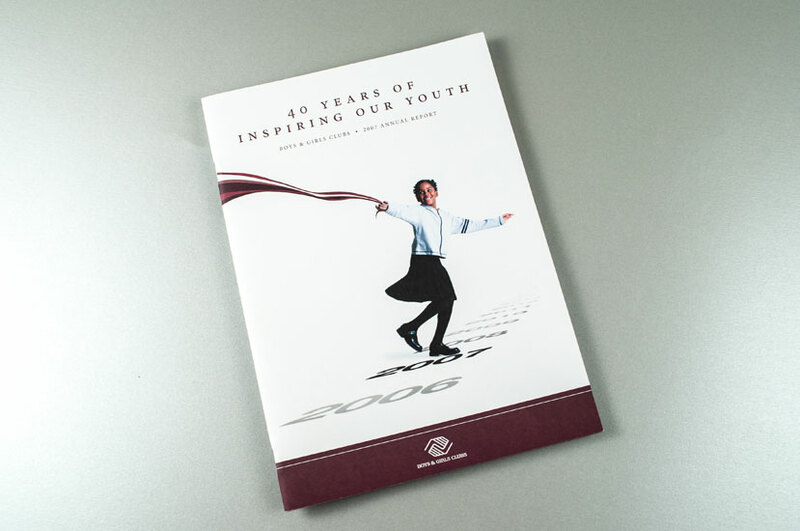 We stayed true to the Boys & Girls Club brand through color palettes and typography used. 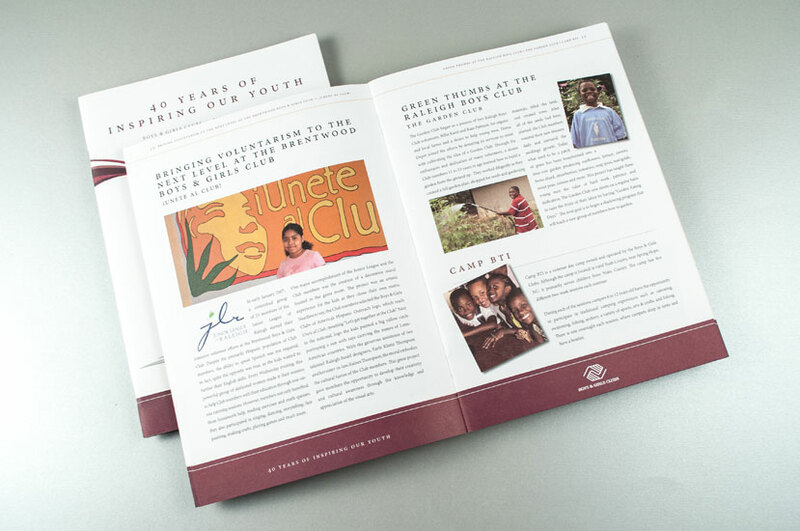 The report also features images of the people that the Boys & Girls Club has positively influenced, making the overall report more impactful.